Hemisphere Design Works in Muskegon. The company's corporate headquarters are now located on the second floor of the former SPX Corporation building on Muskegon Lake. The Muskegon company previously know as KL Outdoor has a new name, Hemisphere Design Works. It's the result of a merger announced last year between KL Outdoor and Quebec-based GSC Technologies. "It's working out great for us," said Chuck Smith, Hemisphere Design Works C.E.O. 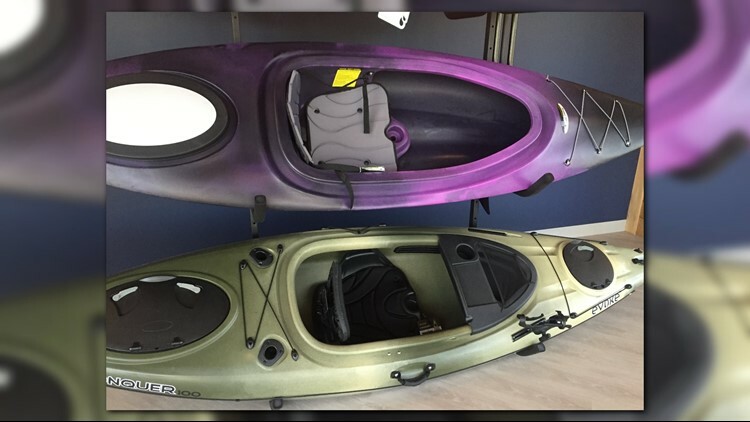 The company predict double digit growth between now and 2023 thanks to a growing kayak category. Hemisphere Design Works kayaks are sold all over the U.S. and Canada under the Sundolphin, Future Beach and Evoke brands. The company has around 30 percent market share. It manufactures, assembles, and distributes products from 11 different Muskegon area buildings. A new building is planned for 2019 at the Port City Industrial Park. "We are going to build a 500,000 square foot distribution center," said Smith. Construction on the distribution center should begin in January. It will also house light assembly space. The new building will play a key role for the company as it works to capture even more market share. And for the Muskegon area it will eventually mean more jobs. "It's kind of a T.B.D. at this point until we get into the facility," said Smith. "Without question the growth will create jobs within the area." The building is expected to be full operational in March.